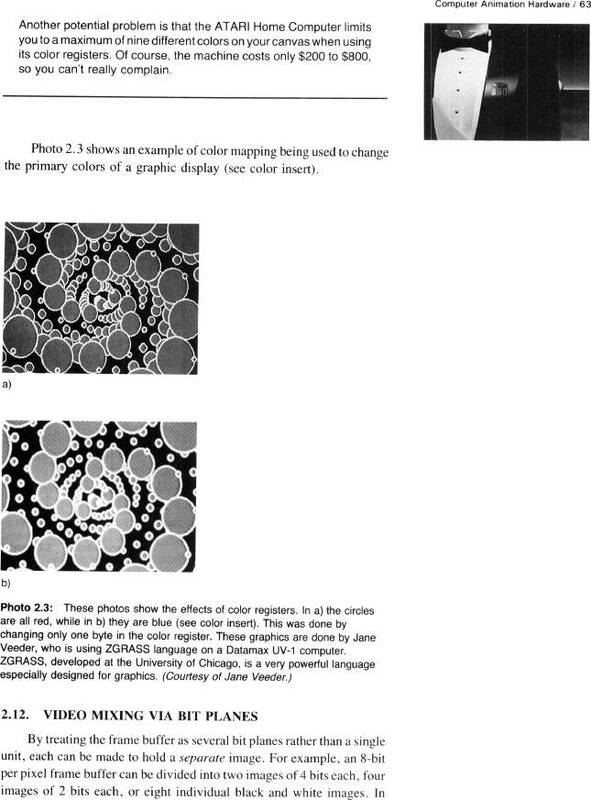 Computer Animation Primer: Photo 2.3, These photos show the effects of color registers done with ZGRASS programming language on a Datamax UV-1 computer.. SECTION 2.12: Video Mixing Via Bit Planes. Photo 2.3, These photos show the effects of color registers done with ZGRASS programming language on a Datamax UV-1 computer.